Top10DNATests was made out of love for genetic and genealogical exploration and our desire to share our experiences with the rest of the world. In 2017, we took our first steps toward raising ancestry DNA testing reviews to a completely objective and unbiased level. 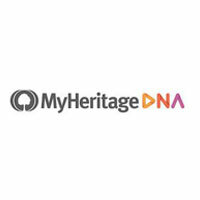 We made it our mission to transfer our experience to people looking to find out more about their genetic heritage. Along the way, we also started building a tight little community around this idea. Naturally, in just a couple of months, we expanded our scope to include other DNA screening types, including genetic age, fitness, diet, health, biological relationships, genetic potential, carrier status, and many other testing solutions. We are constantly looking to improve our site, but two things have remained the same since the beginning: our passion for genetic exploration and our mission to provide our readers with all the information they could possibly need regarding any DNA test. Top10DNATests is entirely funded by commissions received from sales through affiliate links. Having said that, we have never given positive reviews in exchange for money and never will. For more information on the matter, please see our Earnings Disclosure.